The Dian Fossey Gorilla Fund operates the longest-running gorilla research site in the world, as founded by Dr. Dian Fossey in 1967 at the Karisoke Research Center. Science is a critical part of our work, because it provides important information about the gorillas as well as the other animals and plants in the forest ecosystem they all share. This helps our staff and park management develop the most effective conservation strategies, as we learn about gorilla life, ecology, health, genetics and more. Our scientific studies of mountain gorillas began when Dian Fossey came to Africa in 1967, at the urging of famed anthropologist Louis Leakey. Leakey was studying human evolution in Africa and hoped that studying primates in the wild would help us better understand ourselves. 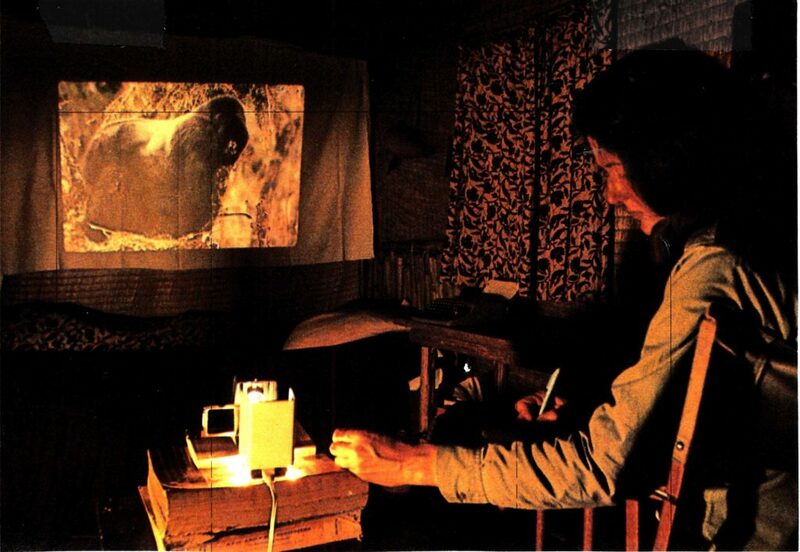 Dr. Fossey established the Karisoke Research Center in 1967 and began her groundbreaking research on gorilla behavior. Five decades later, Karisoke is the world’s longest-running gorilla research site and conducts cutting-edge, award-winning science on gorillas and their habitat. Our staff in Rwanda now spend thousands of hours each year collecting basic information on all aspects of gorilla life, including ranging patterns, changes in group composition (such as births, deaths and transfers), feeding and social behavior, health status, and major events such as dominance shifts and group interactions. 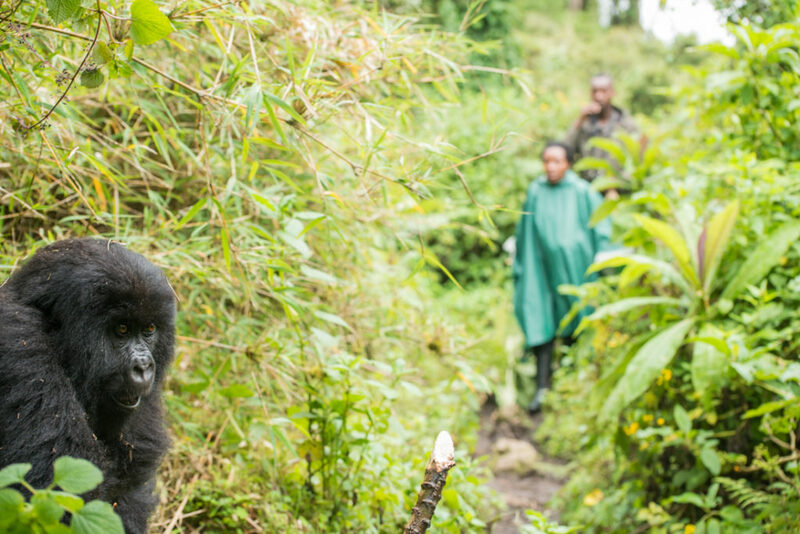 Our databases are used by the Rwandan government, local partners and scientists from around the world to answer critical questions about gorilla behavior and conservation. More than 300 publications have come out of Karisoke Research Center to date, and many more continue to be published every year. This information not only leads to general scientific understanding but also helps us develop the best methods for saving the gorillas and their ecosystem as well. Click here to see the full list of scientific publications from Karisoke Research Center from 1967 to the present. Unlike the mountain gorillas, Grauer’s gorillas have not been well studied and very little detail is known about their behavior, ecology and habitat requirements. We are currently collecting data so that we can understand their ranging patterns, genetic diversity, diet, and population density, all of which is key information for developing effective conservation strategies. The Fossey Fund also collaborates with Congolese wildlife authorities (ICCN) to observe the only habituated groups of Grauer’s gorillas, located in Kahuzi-Biega National Park. These groups were originally habituated for tourism and are monitored and protected by ICCN staff. 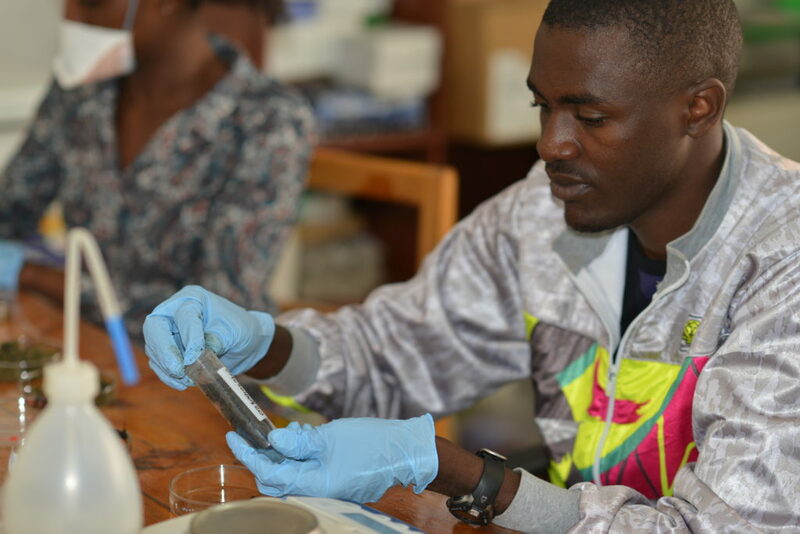 We are working with them to collect data using the same protocols we follow at the Karisoke Research Center. This will enable direct comparisons between the two populations. This work is critical to building the information we need to successfully conserve them. Grauer’s gorillas have larger home ranges than mountain gorillas, and the density of their groups is about three times lower. A diversity of habitats is needed for their home range, such as primary forest for fruit trees, open-canopy areas for terrestrial leafy plants, and swampy areas. They often nest high up in the forest canopy, at 30 meters or higher, which is similar to chimpanzee behavior, rather than to mountain gorillas, who nest on the ground. Grauer’s gorillas are extremely sensitive to poaching and can’t be found within a 5-8 kilometer range of a mining camp, since miners and hunters at these camps kill gorillas. Gorillas in Rwanda and Congo live in areas that have some of the richest biodiversity in the world, with many important species found only in these areas. The Dian Fossey Gorilla Fund has been actively monitoring and studying many of these other animals and plants for years. 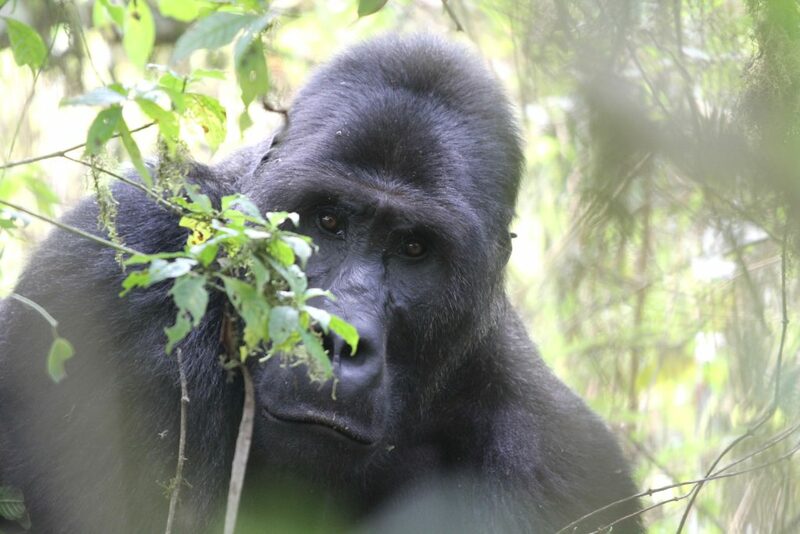 For example, gorillas rely on certain plants for their food needs, as do many of the other animals in the forest. 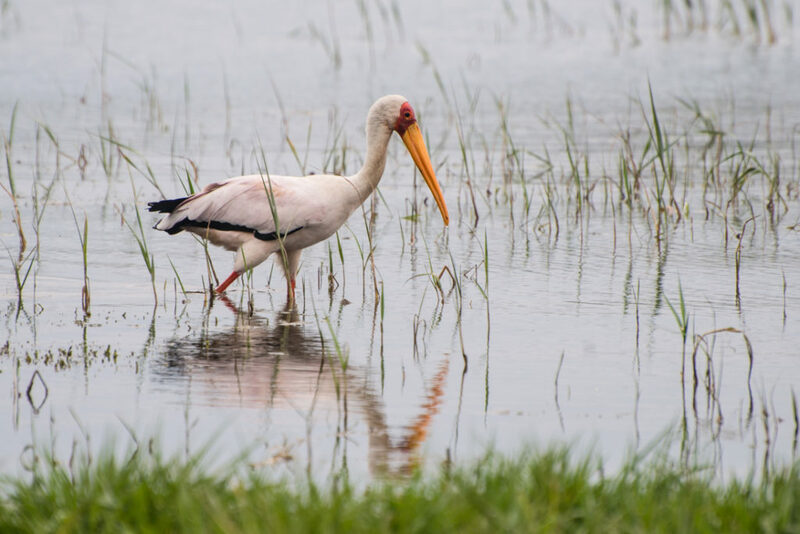 Changes in food plant availability may be one of the earliest observed responses to rapid global climate change and could potentially have serious consequences for animals. Each year, the Fossey Fund hosts dozens of local and international researchers at Karisoke to work on a variety of research projects related to gorilla behavior and conservation. This includes established scientists from worldwide universities, as well as local college students getting their first experiences in the field, as they become the next generation of conservationists. 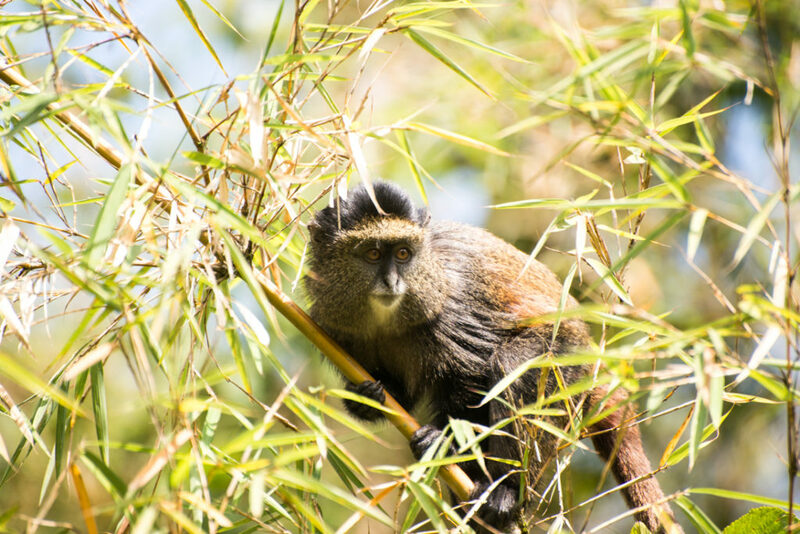 For example, each year about 400 Rwandan students in biology and related subjects arrive at Karisoke for undergraduate and professional internships to learn about the fauna and flora of the Virunga mountains, to practice field research methods, and for close supervision and training in scientific skills, as they pursue final research projects for their bachelor’s degrees.